NOTHING IS IMPOSSIBLE TO THOSE WHO SEE THE INVISIBLE. 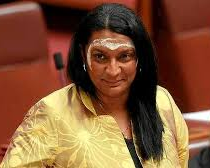 The chair of NACCHO Justinm Mohamed on behalf of the 150 Aboriginal Community Controlled Health Services members would like to congratulate Senator Nova Peris the first elected Aboriginal woman to the Federal Parliament. I acknowledge the traditional owners, the Ngambri and Ngunnawal people on whose country we meet today — I pay my respects to my elders, past and present and to our future leaders. I am Nova Maree Peris. I was born in Darwin in the Northern Territory and I retain my strong cultural and spiritual ties to my country, to the Mother Earth. I am a member of the oldest continuous surviving culture on earth. I am proud that this hill we meet on here today is culturally significant to the Ngambri people as representing the womb of the ‘Woman’ on this Country. It is very significant to me being the first Aboriginal woman elected to the Federal Parliament of Australia. Through my mother, I am a descendant of the Gija people of the East Kimberley and the Yawuru people of the West Kimberley I am also Iwatja from Western Arnhem Land through my father. Through my life I have come across many people from all walks of life who have inspired me. Some through their wisdom; and others through their courage and their ability to overcome adversity. But no one has inspired me more so than my grandmother. Nora Peris was a proud Giga woman – She was torn from her mother’s arms and lived on the Mission of Moola Bulla in the east Kimberley. “Moola Bulla is a long, sad and painful story” she used to say. This was home to her for 12 years. A river separated her and her traditional Aboriginal mother who was still living on country. She always said they were so close — yet so far apart. My Nanna’s clothes were made from stitched together hessian bags. When the Second World War hit, the kids were released from the mission and for two years she walked and lived off the harsh Eastern Kimberly land. These conditions and her will to survive shaped her; and it was there where she met my grandfather Johnny Peris. Johnny Peris was a Yawuru Man, a Beagle Bay mission survivor who was also a proud stockman. They met and had 10 children. Four of their children were taken away and sent to Garden Point Mission on the Tiwi Islands in the Northern Territory. One of the four children who was taken and is here today is my mother, Joan Peris. She lived on the mission for eight years, she worked every day and never received a cent in pay. Mum became like a sister to many of the other children that were forcibly taken to the Garden Point mission. Over the years, people have said to me that it’s incredible what I have achieved in sport. I have competed at some of the biggest sporting events on the planet. Accolades, achievements and celebrations have been a part of my life. But in my heart, I know that part of my life is virtually meaningless compared to the ability to survive shown by my grandparents and my mother. I cannot even imagine or comprehend how it would have felt to live life during those days. These stories are part of the truth of Australia’s history. I have always been inspired by those around me and my sister Venessa Peris has undertaken an incredible journey of her own. She has lived an amazing and accomplished life serving Australia. She was a Corporal and served 10 years in the Australian Army. And last month she just completed 10 years with United Nations Peace Keeping Operations. Venessa served seven years in the Ivory Coast and survived a West African Civil war and at one stage was involved in evacuating more than 4000 people. She is currently carrying out her duties and resides in Monrovia, Liberia. I say this to all of my Indigenous brothers and sisters, and to all people – within every one of us, lies the ability to reach deep inside ourselves and draw upon our inherited strength that our ancestors have given us. There lies a spirit that needs to be awakened. Whilst I am obviously very proud of my Aboriginal heritage I want to make it clear that I do not consider myself an expert when it comes to finding solutions for Aboriginal and Torres Strait Islander people’s particular predicaments. For too long we’ve all heard too many people say they have the answers for Aboriginal Australians and claim the moral high ground. If the answers were as easily provided, as the questions are posed – we simply would not have a problem. In fact the answers are difficult and complex; but they do not lie in absolute positions and simplified slogans. Just delivering another Government program will not end the appalling rates of youth suicide in our communities for example. These are uncomfortable issues but they must be confronted. But I have always been someone who has tried to do things, not just talk about them. I build things up, I don’t tear things down and I have lived by the view that ‘As much is given, much is expected’. I have always been humbled and honoured to serve. It’s partly why I established the Nova Peris Girls Academy. I wanted to try to make a real difference to young disadvantaged Indigenous women. Of course I have now ceased active involvement in the Academy but I remain the organisation’s Patron. Like many before me, for too long, I have watched Aboriginal Australians and our plight be used purely for political purposes. I have seen some totally unscrupulous people try to use the misery of some our people’s circumstances to promote their own cause and agenda. Should I see this happen – I will call it for what it is—it’s racism—and I know that’s confronting—but I will not stand by in silence. How we change things – that remains the challenge—but I know from my heart that nothing can be achieved without total determination and a gut-busting effort. I have been fortunate enough to achieve at the Olympic levels of sport in hockey and athletics. I have experienced the total joy of winning gold medals for my country. And I have lived the exciting life of an elite athlete—fussed over and entertained—in more than 50 countries around the world. But I would swap all of that in a heartbeat – I would forgo any number of gold medals – to see Aboriginal Australians be free, healthy and participating fully in all that our great country has to offer. It is my dream to see kids from Santa Theresa, from Gunbalanya, from Kalkarindji and the Tiwi Islands all with the same opportunity as the kids from the Eastern Suburbs of Sydney. That is one of the reasons I am a fierce advocate for Aboriginal people being taught to be able to read and write English. We cannot and should not be denied these basic tools. Of course we should never be forced to renounce our culture—our beliefs sustain our spirits—they nourish us but at some levels they can restrain us too—that is the collision point that confronts Aboriginal people. I make the simple point that in spite of difficulties like those I’ve described we are seeing some positive health benefits through the dedication of Aboriginal and non-Aboriginal health professionals. We can make a difference; whatever our differences. 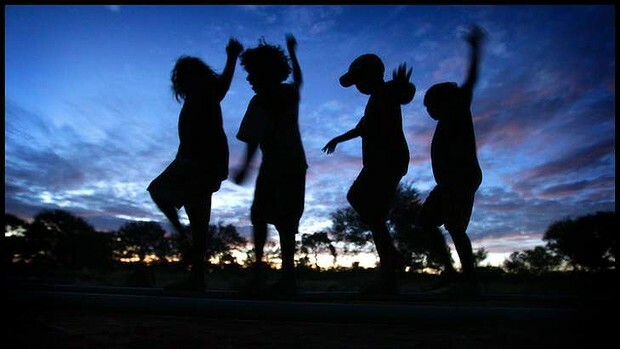 The Northern Territory is currently the only jurisdiction in Australia that is on track to meet the Closing the Gap target on life expectancy. This improvement comes from people who have sought evidence, and put that evidence into action. They have not acted on any fixed ideology, but out of dedication and commitment. This evidence based method of approach is in my view, a real road sign for the future and points the way to dealing with so many other areas of Aboriginal life that have seemed so intractable for so long. This is why I will be seeking to work not only with my colleagues in the Labor Party, in holding the Government to account, but also with the current Government, to ensure we build on successes in primary health care—and to extend those successes into other areas of our lives. Mr President – Education remains the major foundation for self improvement. And although education is a basic fundamental right of every child in this country, irrespective of their race. The fact remains we must work hard to convince people of the value of education. I acknowledge I am a Senator elected to represent all Territorians— and I fully intend to discharge this duty to the best of my ability and I will always put our concerns – the concerns of Territorians first and foremost. I believe it is my duty and the duty of all members elected to the Parliament to answer questions and deal with issues honestly and openly. One such matter that is a very contentious issue is the location of Australia’s proposed nuclear waste facility. Recently my Larrakia uncle Eric Fejo who is also here today spoke about the previous Government’s decision to locate the proposed nuclear waste facility on Muckaty Station in the Barkly region of the Northern Territory. He reminded a public forum that during the Apology to the Stolen Generations it was stated that Governments were wrong to make laws and policies that inflict profound grief, suffering and loss on Aboriginal people. That is what the Muckaty decision is currently doing. It is dividing a community of traditional owners. This policy is inflicting grief. I strongly urge my fellow parliamentary colleagues to reconsider their support for the current location of this facility. Of course Australia needs a nuclear waste management facility. But its location must be based on science not politics. Mr President I do intend to finish my speech on a positive note. The art of Aboriginal and Torres Strait Islander people is stunning. It is truly a gift to Australian culture. The outfit that I am wearing today is made in the Northern Territory – this beautiful gold silk fabric – featuring dancing brolgas was printed at Injalak Arts in Gunbalunya in Western Arnhem Land. It was made by my Dripstone High School friend Sarina Cowcher in Darwin. I also wore a Gracie Kumbi Merrepen printed design for my official swearing in yesterday. I am a Territory Girl. I am immensely proud of who I am and where I hail from. It is majestic. The Northern Territory’s very talented musicians, our artists, our sports men and women. Our culture, our iconic and diverse landscape that boasts a number of world heritage listings. There is certainly is no other place I would rather call home. I want to thank the members of the Australian Labor Party and particularly those members of the Northern Territory Branch. In particular I thank Party President Matthew Gardiner and Party Secretary Kent Rowe. I acknowledge all of my friends & family here today, my mother Joan Peris, my aunty Tanya, my bunyi Jimmy Cooper from Minjilang who walked me into the chamber. Also here today are Aunty Eileen Hoosan and Aunty Pat Anderson. To my Children – Jessica, Destiny and Jack and grandson Issac – we may often find life difficult and challenging – but we always stick together, knowing wherever life’s journey leads us – we will all be true to ourselves. To my husband Scott, I thank you for you unconditional love and support over the past years. As they say beyond each storm you will find the rainbow. Today is a rainbow. I thank you. I want to acknowledge Dr Ric Charlesworth, also a former member of Parliament, one of the greatest hockey players in the world, and now coach; he was one of my life mentors. In the Hockeyroos team we had a mantra that took us to the gold medal. This was loosely based on John F. Kennedy’s famous space program speech. These are the people who taught and continue to teach me the right values that have enabled me to achieve so much in life. I also particularly thank former Prime Minister Julia Gillard from the bottom of my heart for her faith in me and for giving me the chance to become involved – my duty now is to work hard and make a real difference. Mr President – when Dr Martin Luther King spoke of his dream in Washington it inspired millions across the world. I believe everybody has the capacity to dream – we all have the capacity to believe – but very few get the actual opportunity that I have before me now – I urge everybody – particularly young people – to pursue your dreams. In this next stage of my life I hope to make all those who have had faith in me, every reason to continue to believe in the power of those dreams. I would just like to close today with a story that has stayed in my heart for many years. At the 2000 Sydney Olympics there were hundreds of very excited and enthusiastic volunteers. An elderly man was amongst them at the athletics track and he greeted me and wished me well each day that I ran. One the evening of the semi-finals of the 4x400m he didn’t say anything, he just handed me a piece of paper and said: “Read this just before you enter the stadium”. I put it in my pocket and proceeded to the check-in and then walked with my team-mates, Tamsyn Lewis, Susan Andrews and Jana Pitman. We were without Cathy Freeman that evening and we had to finish in the top two to reach the Olympic final. We all felt the weight of Australian expectation resting on our shoulders, our adrenaline was pumping and we did our best to stay cool. We walked into the stadium to be greeted by 110,000 screaming sporting enthusiasts. I reached into my pocket and read the words on the paper. I did not really know what it meant, and I didn’t have much time to reflect on it. But it seemed to inspire me, those words written by a kind elderly man. The four of us went out that evening and ran the race of our lives. I anchored the team and we broke a 23-year-old Australian record. And we made it into the Olympic final. I returned to the warm up track where he greeted me with a big hug. And I asked him what does it mean? He simply replied: “It was my ticket to freedom, I thought about it every day that I was held captive” … It turned out he was a former prisoner of war! 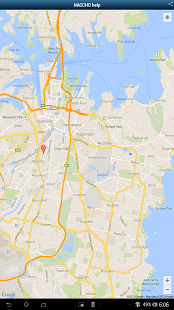 NACCHO Aboriginal Health News: How and when will the Abbott Government CLOSE THE GAP? Two months have passed since Tony Abbott became Prime Minister, promising to be a prime minister for indigenous affairs. He brought the portfolio into his own department. But nothing much has happened as a consequence out in the suburbs, or the towns or the settlements where Aboriginal Australians actually live. It’s now getting to the stage where one might expect to see signs of a government, and a commitment, in action. Here’s a few notes from near HQ. Hundreds of Commonwealth public servants are now inside the Prime Minister and Cabinet portfolio, if not its offices. Not all are from the old FaHCSIA department, which once led the national efforts to reduce Aboriginal disadvantage. Others have come from Education, from Science, and from the miscellaneous units once created in many different agencies to connect the hopes and aspirations for Aborigines with more general parts of national endeavour. Health retains its indigenous health units. But one will search in vain for any evidence or proof of this transition, indication of the new order or battle, or for signs, beyond broad election policy statements, describing new priorities, programs and activities. Indigenous responsibilities are yet to be reflected on the PM&C website, and the order of battle – who, for example, is responsible to whom, and for what, has yet to be published, certainly to outsiders. No doubt it has been business as usual, in Canberra, regional offices, or even at the front line. But one thing missing is a steady stream of press statements issued locally, regionally or centrally, announcing actions, reactions, progress or setbacks. There has been an absolute reduction in the number of self-serving statements praising the courage, wisdom, vision and personal generosity of the former minister, Jennie Macklin, but there has not been a commensurate increase in statements associating the new minister, Nigel Scullion, with everything desirable and good. Most Aboriginal organisations are treating the hiatus much as Russians treat winter at times of invasion. They are waiting to see what the enemy wants and does. Even many of the cynical believe that Abbott is fair dinkum in wanting to achieve change, though they have little idea of what it is he actually wants or plans, or how it will change their lives. For most, if experience is any guide, life will go on, though the quality and quantity of people bossing them around, to no effect, may change. Abbott plans, apparently, to listen respectfully to ideas from people such as Nyunggai Warren Mundine, chairman of the new Prime Minister’s Indigenous Advisory Council, Noel Pearson, and, probably, Dr Peter Shergold, a former PM&C chief who was once the head of the Aboriginal and Torres Strait Islander Commission, when it was the primary government executive body in indigenous affairs .No doubt this advice will be important in shaping policy. But it is not clear how much it will shape day-to-day decision making, nor does it tell us much about who will be making the decisions. The council is to meet three times a year with Abbott and senior ministers. 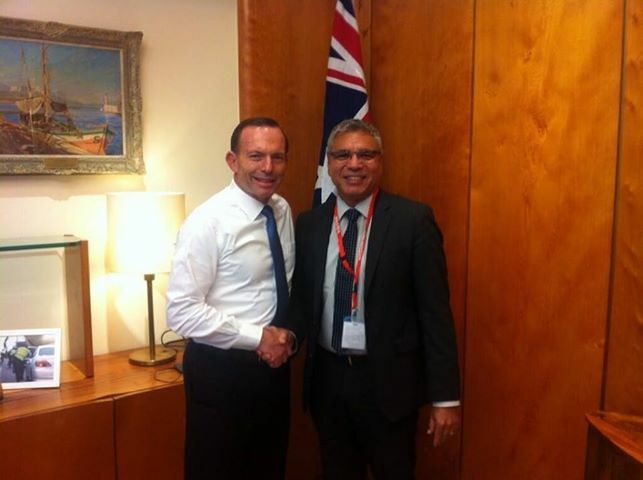 Mundine will meet Abbott and Scullion once a month. The council ”will include indigenous and non-indigenous Australians with a broad range of skills, including experience in the public sector, business acumen, and a strong understanding of indigenous culture”; it will be, in short, just the sort of important sounding, but actually powerless body that the government spent much of the past week axing as surplus to requirements. Gosh, why didn’t anyone think of that before? Perhaps adding to the (or my) depression was an advertisement from the Menzies School of Health Research for a co-ordinator for its indigenous youth life skills development project. This $70,000 position, based in Darwin to work in the Top End, is to devise an anti-suicide program. ”The indigenous youth life skills development project is a multi-disciplinary intervention study aimed at building an evidence-based suicide prevention program for indigenous youth in remote settings. The project involves the design, pilot and evaluation of a skills-based suicide prevention intervention designed to build strength and resilience amongst indigenous school-aged youth. The project will involve a range of stakeholders in the East Arnhem region to ensure a culturally appropriate, strategic and coordinated approach. Heaven knows the suicide problem is bad enough, and the need to do something important. But why wouldn’t any observer recognise immediately that people who see the problem in terms of such agglomerations of abstract nouns are hardly likely to have the insights to do much about it? Indeed, it is in part such a bureaucratic and logorrheic approach to social problems that is making so many despair. Meanwhile, Abbott might be confirmed in thinking a radical break with the past is needed by the pathetic scorecard accorded to Council of Australian Governments’ ”initiatives” on almost everything, but certainly closing the gap on indigenous disadvantage. The COAG Reform Council reported during the week that while there were odd signs of progress, it was clear the rate of improvement had slowed over the past five years or so (should one say the period of the Rudd and Gillard governments?). In some areas, things went backwards; in others it was impossible to say whether there had been any change. The comparisons, and the statistics, were coming primarily from economists and accountants, rather than people able to properly compare slices of life. Even with imagined randomness, and purportedly objective measures (say percentages of children passing a reading exam, or the number of people waiting too long to see a doctor), the results, though interesting and perhaps indicative, were hardly ever likely to be significant in any statistical sense. That the council supposed they were illustrates one of its problems. Thus the indigenous child death rate fell from 212 per 100,000 in 2008 to 196 per 100,000 in 2012, and this was ticked as evidence of ”good progress”. I very much doubt that it is of even slight statistical significance. The disappointing or indifferent results from Commonwealth-state initiatives were to be found in the general areas of health and hospitals, schools (including preschools, reading and numeracy) and indigenous affairs. Perhaps it is all the fault of an incompetent (whether or not well-meaning) Labor government. But it was just this Labor government that brought great energy, zeal and extra resources into precisely these fields, compared with before. Commonwealth spending in indigenous affairs may have increased by 50 per cent. More and, supposedly, more focused, spending on health and education were supposedly big positives of the Labor era. So positive that Abbott decided, late in the election campaign, to ”adopt” Labor policies. So all that extra money, and all of the earnest and sometimes sanctimonious talk, made hardly any difference? Even if it sometimes did, if not by much, it was quite plain to the COAG Reform Council that the marginal benefits of all of this extra activity and spending were very low. When politicians and bureaucrats face this fact – and there is no evidence they have done so yet – there are usually three possible responses. One is to recognise that there is something wrong with the policies, and to change course. Another is to ignore the evidence, and to carry on regardless, wasting more and more money, until it all runs out. Another is to redouble efforts and do and spend more, convinced that the plan will work, must work, or is not working only because of some managerial or ideological obstructionism. This is the ”policy is right in theory, so it must work in practice” approach. Ten years from now, indeed, hardly anyone in Aboriginal affairs will even remember that there was a Labor government, although they may regard Kevin Rudd with vague affection for saying sorry. The lamentable Macklin era will have become assimilated into stories of the John Howard-Malcolm Brough intervention. This saw the re-bureaucratisation of the field, the hollowing out of Aboriginal organisations and politics, the abandonment of ”consultation” and the advent of a command ”engagement” economy, and the blaming of most personal and community ”dysfunction” on the victims or their parents. Australian taxpayers invested an extra $7 billion in trying to make a difference, with ever diminishing returns, if any. Abbott, and those to whom he pays the most respectful attention, will insist that they will be different with a switch away from welfarist policies, ”sit-down” money and cultures of dependency. They will reward initiative, promote enterprise, education, employment and involvement with the wider economy. Yet they do not admit that a good deal of the ineffectual bossiness and reorientation of the past seven years has also been about the same thing. Noel Pearson, to use just one example, has consistently received handsome funding and encouragement from Canberra. One can, perhaps, learn lessons from the experiences of people in his area. But if they were capable of delivering salvation – as Abbott sometimes seems to urge – one ought to have, by now, seen some signs. “The 1970s also saw the creation of Aboriginal Medical Services, community-controlled groups that resulted in Aboriginal people solving Aboriginal problems. The health services were also inspired by the US civil rights movement. The health of Aborigines today is among the worst on Earth, but there’s broad consensus it would be far worse were it not run by Aboriginal people. But if Aboriginal control of Aboriginal lives can work in health and in NSW land rights, why hasn’t it been allowed to work in all other aspects of our lives? I also have a dream. A lot of people my age remember where they were when man landed on the moon. As a lifelong Aboriginal activist, I prefer to remember where I was when Martin Luther King delivered his iconic ”I have a dream” speech. That was our moon landing, a feat, until then, considered impossible – the rallying of people of colour around the globe to stand up against inequality and injustice. This week was the 50th anniversary of King’s speech. When he delivered it, I was a young man in school at Mullumbimby on the NSW far north coast. Our teachers discussed the speech the next day in class but, in a place like Mullumbimby, it was hard to grasp the importance of the occasion. It wasn’t until I came to Sydney in the late ’60s to attend a memorial service marking King’s assassination that the enormity of what King had said, and what it represented, finally dawned on me. 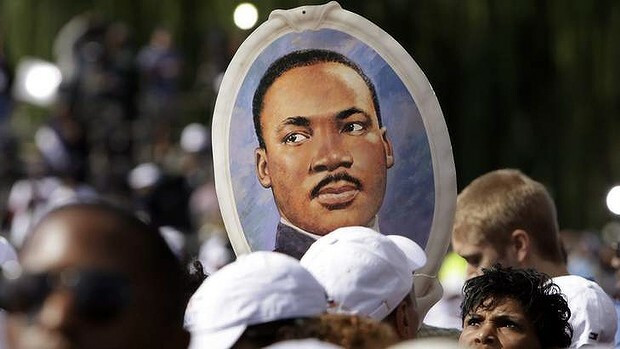 King, Malcolm X and other great black leaders had challenged and dismantled much of the apartheid state in the US, and the March on Washington was part of a growing push to see civil rights legislation enacted there. Much of the focus was on jobs and the right of African Americans to get access to the real economy. Of course, discrimination remains very much alive and well in the US today, but the gains of African Americans can’t be denied. But sadly, as we mark the 50th anniversary, the truth of that era and the Aboriginal struggle also dawns on me. Yes, King’s speech inspired my people. And yes, King’s speech shone an international light on the appalling treatment of Aboriginal Australians. But while King was arguing for basic civil rights, in Australia we were still fighting for basic human rights, a fight that continues today. ”I have a dream” was delivered in 1963, when Aborigines were still classed as ”flora and fauna”. It would take another half a decade before our nation voted to count Aborigines in the census, and afford us citizen status. But the great promise that the referendum held forth – justice and equality before the law – has never fully materialised. I’m not suggesting there haven’t been some gains in Australia. The activism of the 1970s and ’80s, strengthened by the determination of men such as King and women such as Rosa Parks, brought us modest land rights. In NSW, there exists a land rights system that costs the taxpayer nothing, and which is leading economic development in many metropolitan and regional Aboriginal communities. The NSW system is not perfect – indeed it has returned to Aboriginal people less than one-tenth of 1 per cent of the total NSW land mass – but, according to the United Nations Special Rapporteur on the Rights of Indigenous Peoples James Anaya, it is the best land rights legislation on Earth. The 1970s also saw the creation of Aboriginal Medical Services, community-controlled groups that resulted in Aboriginal people solving Aboriginal problems. Why, 50 years after King’s speech, does the most basic human right – self-determination – still elude my people? Why, today, do we seem further away from this dream than ever before? Opposition Leader Tony Abbott recently promised to appoint a national indigenous council if he is elected to office. Hand-picking our leaders to get the advice you want to hear didn’t work in the 1960s, ’70s, ’80s, ’90s and 2000s. It won’t work now. It’s as far from self-determination as you can get. And why is the other most basic of human rights – justice – still denied Aboriginal people? Mr Abbott is promising compensation for Australian victims of global terrorism, including legislation to compensate for victims of the 2002 Bali bombing. ”When people suffer because of the fact they are Australian, a decent nation should offer some acknowledgment, some recognition,” Mr Abbott said. I agree, and I applaud the promise. But I also look forward to Mr Abbott extending that same fine principle to my people, who suffered because they were Aboriginal Australians. Prime Minister Kevin Rudd launched himself onto the international human rights stage with the national apology to victims of the stolen generations. Mr Abbott, if elected, can actually make it meaningful by delivering reparations – a basic human right – denied those people. If, 50 years after King’s speech, either of the two main parties really want to engage with Australia’s first people on a basis of equality and respect, they’ll find us ready, willing and able. Aboriginal people have always had the solutions to Aboriginal problems. Martin Luther King dreamed of a day when his people would be judged not on the colour of their skin, but on the content of their character. Fifty years on, I dream of a day when Australians will face up honestly to the failures of their past, regardless of the kindness of their intent. I dream of a day when non-Aboriginal Australians demand not a dream about a future for my people, but a simple plan to restore our basic human rights. Most of all, I dream of the day when Aboriginal Australians will be judged not on the colour of our skin, but on the strength of our self-determination. 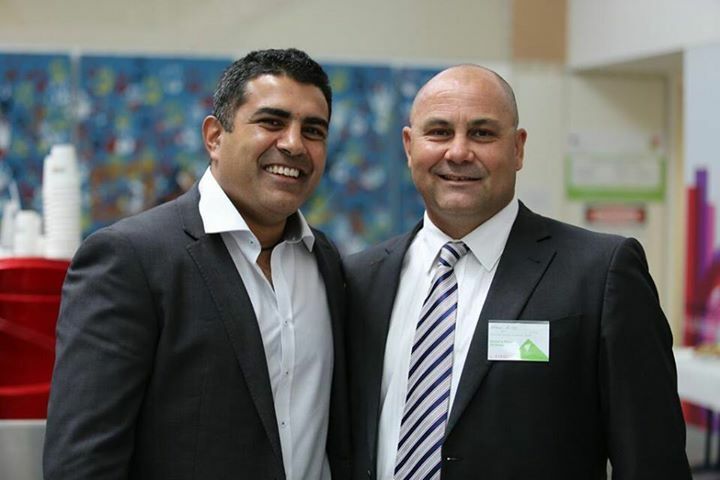 Justin Mohamed and @NATSILS_ Shane Duffy at @NITV’s special election forum. Aboriginal people across the country today will be disappointed by the release of the Coalition’s health policy given the persistent appalling health gap between Aboriginal and non-Aboriginal Australians, said the Aboriginal primary health peak. 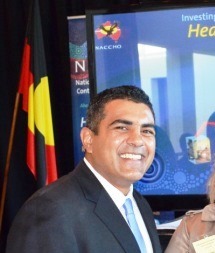 National Community Controlled Health Organisation (NACCHO) Chair, Justin Mohamed said the seventeen page Coalition Health Plan dedicated only one line to Aboriginal health and provided no detail on the initiatives they would support to specifically improve Aboriginal and Torres Strait Islander health outcomes. “Tony Abbott has previously expressed a commitment to closing the shameful health gap between Aboriginal and non-Aboriginal Australians. “The Coalition signed the Close the Gap Statement of Intent in 2008 and plans to elevate Aboriginal affairs directly to the Prime Ministerial office if Tony Abbott wins Government in three weeks. “Given that, it is disappointing and somewhat surprising that he has not given a lot more focus in his Health Policy to solving the challenges in Aboriginal health. Mr Mohamed said that driving down the life expectancy gap – which in some areas is up to 17 years different – can only happen if we have long-term, Aboriginal-driven health programs which look beyond election cycles and politics. “We know the Aboriginal community controlled health model is working – we are seeing both adult and child mortality rates slowly declining – but we can’t afford to be complacent. 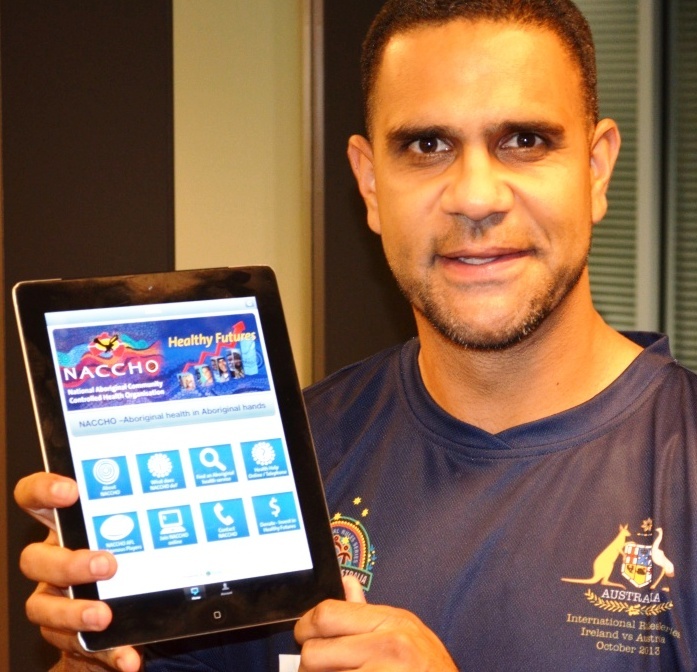 “We would like to see all political parties commit to the NACCHO ten-point Investing in Healthy Futures for Generational Change plan which provides a policy road map to keep the momentum up. “This includes a commitment to what works – Aboriginal community controlled primary health services – who are delivering real gains on the front line. Mr Mohamed said he hoped there was more to come from the Coalition before 7 September. Kevin Rudd and Tony Abbott will today be urged to put Aboriginal health on their agendas this election campaign. 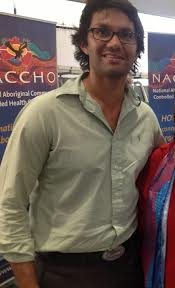 National Aboriginal Community Controlled Health Organisation chairman Justin Mohamed said yesterday it was disappointing the focus on Aboriginal affairs so far had been on education and economic development with barely a mention of the need to improve indigenous health. “Addressing Aboriginal education and employment and stimulating economic development are critical issues, but our people must be healthy for them to come to fruition,” Mr Mohamed said at the body’s inaugural National Aboriginal Primary Health Care Summit in Adelaide. “We still have a massive health gap between Aboriginal and non-Aboriginal Australians, with a life expectancy up to 17 years different. Mr Mohamed said NACCHO’s 10-point Investing in Healthy Futures for Generational Change gave a framework for all political parties to work with. “We have concrete evidence that Aboriginal health in Aboriginal hands is what is really making the difference in achieving better health outcomes for our people,” he said. 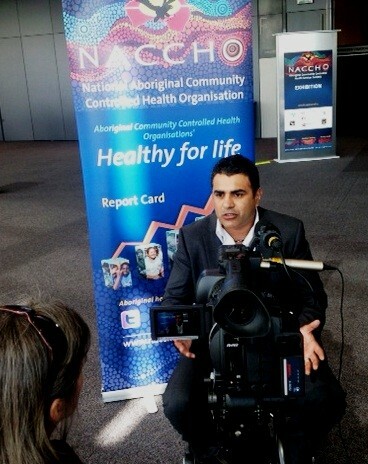 He pointed to the improvements in Aboriginal child birth weights, maternal health and management of chronic diseases recorded by the Australian Institute of Health and Welfare in their Healthy for Life Report Card. “We need to capitalise on these gains,” he said. 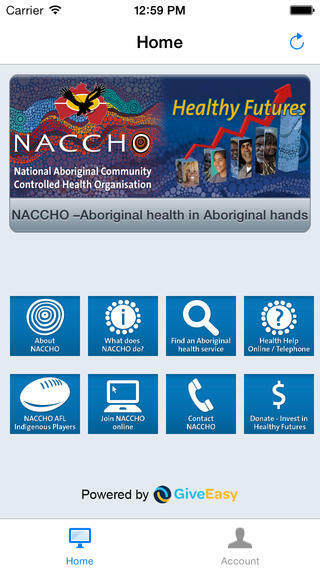 “We can’t be complacent when it comes to Aboriginal health and we need to see all political parties take it seriously.